WHEN A VENEZUELAN ADMIRAL ATTEMPTS AN AMBITIOUS POWER GRAB, AMERICA’S ELITE WARRIORS MUST STOP A DISASTER OF UNIMAGINABLE SCALE. Admiral Juan Valdez is the puppet master behind Venezuela's dictatorship. He has spent years modernizing Venezuela’s military while the poor of his country starved. All the while, Valdez was working toward his grand vision of seizing much of Latin America. Now Admiral Valdez is convinced that Bolivia, Columbia, and Peru are all well within his grasp. And when the time is right, he will strike. But the real key to his victory lies to the north. With the recent discovery of massive undersea oil deposits, he must first take Cuba. For oil is money. And money is power. The crew of the submarine USS Toledo, along with a handful of SEALs and intelligence operatives, have been sent in to protect America’s interests. But with Russia’s best technology at his disposal, Valdez’s elaborate plot puts the Americans right in the line of fire. 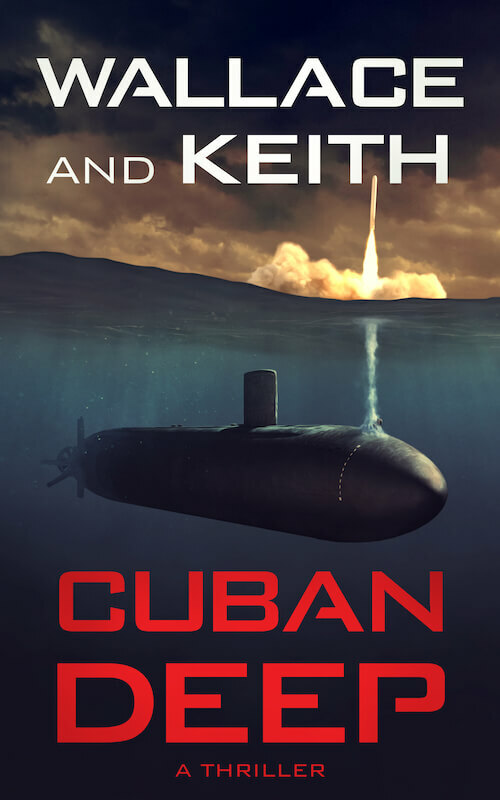 CUBAN DEEP is a high-tension, action packed tale that reads like tomorrow’s headlines. If you enjoy military thrillers that combine excitement with realism, WALLACE and KEITH are a must-read. Highly recommended for fans of Tom Clancy, W.E.B. Griffin, Brad Thor, and Mark Greaney. Former US Navy submarine commander George Wallace and award winning author Don Keith are the authors of the novel HUNTER KILLER, now a major motion picture starring Gerard Butler and Gary Oldman.